If you are planning on visiting South America and want to fill your itinerary with spectacular destinations, you might want to consider a joint trip to Machu Picchu in Peru and the salt flats of Uyuni in Bolivia. If you’re looking for an experience you will never forget on your next vacation then you might want to think about heading to Peru aboard the Hiram Bingham train to Machu Picchu for a rail adventure like no other. Have you ever been stuck deciding between two dream vacations? Why not do both? We have found a way to make sure you don’t have to choose. We have combined the world famous Machu Picchu journey with a trip to the iconic Galapagos Islands. Have you always wanted to see Machu Picchu but didn’t fancy trekking through the mud to get there? Those who like a bit of luxury when they travel can rejoice at the news of Inca Rail’s new fleet of luxury trains that will take passengers all the way to the ancient Inca ruins. Standing on top of the hill looking down at the complex of ancient ruins is a feeling unlike any other. Suddenly, the ache in your muscles, after days of trekking, evaporates and all you can think about is the jaw-dropping sight before your eyes. 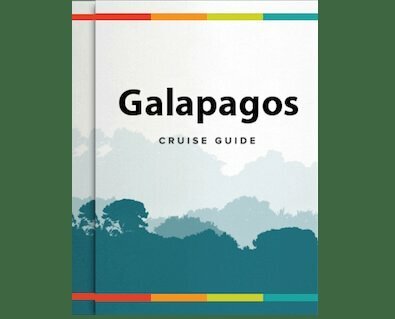 Despite being two remote destinations, a Machu Picchu and Galapagos combined tour is not as complicated as it may seem. We’ve gathered all the information you need in one place, from advice on when to visit and how to travel, to accommodation options and an overview of what not to miss. A Sacred Valley and Cusco tour promises some of the very best landscapes, history, wildlife and local culture South America has to offer. Here, we’ve outlined some of the highlights. There is a wide range of ways to get to Machu Picchu, but we’re here to explain how to do it and help you figure out which is best for you. Machu Picchu can be reached by foot or rail, though there’s no doubt that taking one of the classic trains through the lush countryside is a more relaxing way to experience the journey. Sit back and enjoy panoramic views, with varying levels of service from economy to absolute luxury. Here are the top 8 hotels in Machu Picchu that will guarantee an impressive stay, with world-class facilities and services right in the heart of the Andes Mountains.